Kidrobot is honored to partner with Arte Marakame and a village of artisan natives of the Wixarika communities of Tatei-Kie (San Andres Cohamiata) and La Laguna of the Sierra Madre Occidental in the Jalisco state of Mexico. These artists spent up to 400 hours on each art piece applying up to 90 thousand beads by hand to tell a story of their culture. Kidrobot was founded on the idea of bringing art to life from all types of artistry across the globe. We are excited to bring you a collection of 39 hand crafted pieces of history and culture, each telling a different story. Titles of the pieces are in the “Wixarika” (Huichol) language, which is the indigenous community name that does this work. Their meanings are related with the symbols captured in every piece, sacred places in their culture, their Gods, the sacred plant (peyote), spirits, among others. 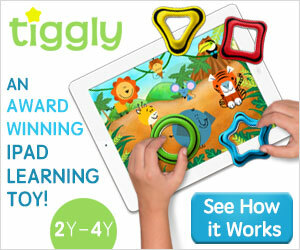 Photo, title and size of each piece. Place where the art piece was created. Signature and stamped seal of Marakame. Marakame is a brand that puts forward a creative way of fuzing Art, Design and Culture. We believe that we can converge this triad of concepts through our Diffusion and Commerce Project of unique Wixarika Art pieces (Huichol Art). Our pieces are elaborated by Huichol families of the diverse rural communities inhabitating mainly in the Sierra Madre Occidental. It is a joint idea of the Bachelor of Cultural Tourism Marcela Abarca and the Visual Artist Fernando Motilla, who found the fascinating beads and yarn Huichol artwork. So detailed and colorful, its precision, mystical symbology and its Universe conception that motivated them to make it notorious and indispensable the reassessment of every piece made by these artists and situate it as a live and latent story of the contemporaneous indigenous culture from Mexico to the world. Central idea of this project consists further than diffusing, commercializing and reassessing the Huichol Art pieces considered traditionally as “artesan’as” (crafts / artisans pieces), but also showing that the work of one piece and its mystical symbology are intimately intricated with a social and cultural dimension barely known in the world. To this dimension, Marakame contribute in collateral aspects supporting the Huichol families, such as loaning, health aid, support to realize their pre-Columbian customs and traditions and the proposal of fusing with new techniques and materials to improve the conventional work of the Huichol art with beads and yarn. In Marakame we have works that have been developed in an artisanal way with two techniques: beaded and yarn painting, our pieces take from weeks to months of work, these pieces are the result of the artistic collaboration that we do with the most gifted Huichol families from the diverse communities, those who learn from their childhood these representative techniques of their culture. We specialize in the projection and sale of collection pieces and care along with the Huichol artists the impeccable manufacturing of each piece. Every single piece has embodied the elements of the cosmovision of these artists in a different way, what makes them to be works of art unique and unrepeatable, because each artist has their own way of expressing their feelings, their colors, their forms and visions. 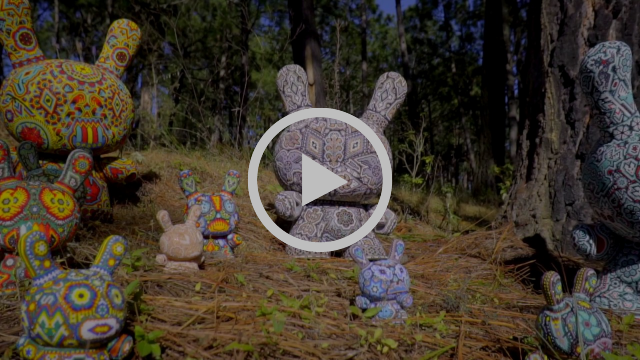 The elements have been translated for centuries because of its spiritual importance, as the blue deer, the corn, the eagle and the peyote, they all descended from their Sun God ÒTauÓ, and now emerge to be the symbology of the contemporary Huichol artists with a conceptual meaning. When someone has a piece of Marakame, they are taking into their home collection a record of the history of life in the universe according to the Wixarika – Huichol wisdom, their shared vision of centuries of knowledge that travel through the veins of these people. They are also helping through their purchase to the preservation of the ceremonial feasts of several families and their culture. 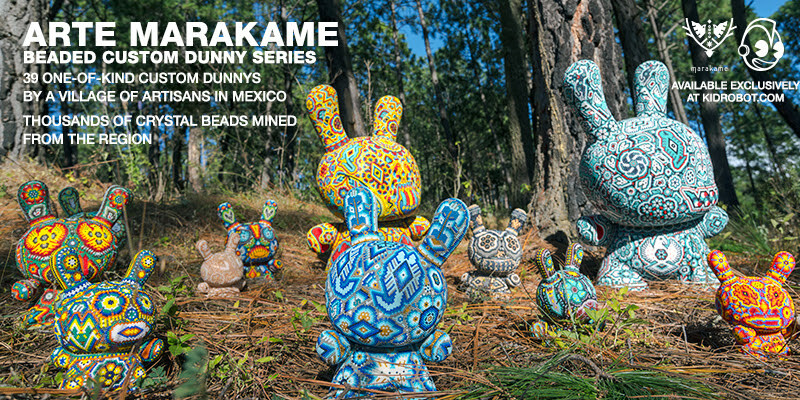 These art pieces commissioned by Kidrobot to the Arte Marakame in “Marakame” Art Studio in Morelia, Michoacan and San Andres Cohamiata, Sierra Madre Occidental Mexicana. Arte Marakame selected the artists for their virtuous ability to capture in materials like micro beads with the epoxy resin the gaze of the indigenous community of Mexico. A window that allowed the world to meet the existence of folks that possessed a tight connection with the nature elements and the life generation movements was the Art. The Wixaritari (Huichols) who inhabit in the steeped mountains of the Sierra Madre Occidental in Mexico, are a folk of artists. With their colors and designs they share their art work, elements of thier daily ceremonial life which transcend the traditional indigenous folklore and put in our eyes a verbal silence that life is among us because of the Wixaritari (Huichols) continue realizing and practicing the ancestral lessons they maintain and renovate in the contemporaneous world. This heritage has implicit a conscience call for society to support and respect the traditional practices of the indigenous communities. This way, the Dunny carry the memories of the grandfathers and grandmothers Wixaritari for the world and share the intimate stories from the Wixaritari to the world.